Raw… Powerful…Unapologetic…Antagonist. Born in Fresno California in 1982, Antagonist’s love for music began at a young age. As a child, he was always singing and playing around with his mother’s guitar. He fell in love with hip-hop some years later when his brother introduced him to artists such as DJ Jazzy Jeff and the Fresh Prince, Tone Loc, 2 Live Crew, and Mc Hammer, just to name a few. Antagonist’s family moved to a small town in California’s Central Valley, where he learned how to play trumpet in elementary school. In junior high, he started teaching himself to play guitar, and also started writing lyrics. He tried at various times to start bands, but those all fizzled out after a few months. But Antagonist wouldn’t let that stop him. He realized that his songs read like rap songs, and as a solo artist he would be in complete control of his music. Antagonist started to hone his skills as a rapper. Antagonist always wanted to remain true to himself, and wrote songs about things he knew and understood. Besides, how could a white kid from a farm town in California be taken seriously as a gangster rapper? When he discovered the underground hip-hop scene, he decided to seriously pursue his dream of becoming a rapper. In 2002, he became involved with some other local conscious rappers and started to write and record with them. In 2004, Antagonist moved to Arizona and started to teach himself how to make beats. He also began to perform live at the bar and restaurant where he worked. Antagonist soon moved back to his home town in California and took some time away from music to peruse some other goals. Now Antagonist is back and ready to leave his mark on the world. In 2007 Antagonist had taken all the things that he had learned and started to record on his own. In 2008, Antagonist finished his demo/EP Tortured Genius, and released it as a free online album. A true Indy musician, Antagonist produced, recorded, and released the album all on his own. Currently, Antagonist is working on his follow up, full length album and trying to break into the local music scene. 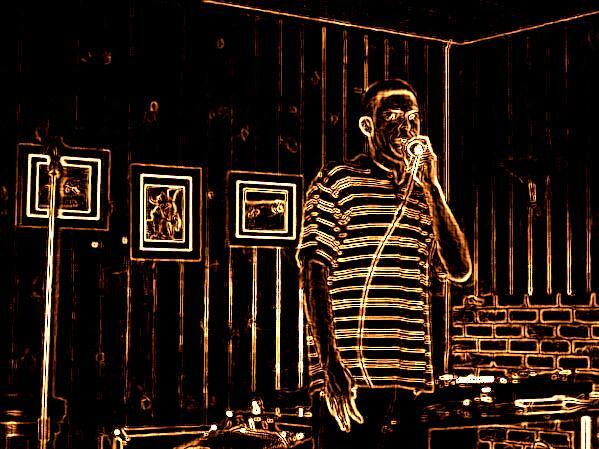 He recently opened at a local hip-hop, spoken word, and graffiti event, celebrating conscious hip-hop and its’ culture, and has performed a handful of local shows. Someone once described Antagonist’s music as a cross between Anticon and Grayskul. If you ask Antagonist, he’ll tell you that it’s kind of like a cross between hip-hop, punk, and emo. Antagonist draws influence from all genres of music. His influences include Atmosphere, Sage Francis, Sole, Aesop Rock, El-P, The Grouch, Senses Fail, Armor for Sleep, My Chemical Romance, Taking Back Sunday, Say Anything, Operation Ivy, Fugazi, Rollins Band, Rage Against the Machine, Korn, and Staind, to name a few. Antagonist is constantly evolving his art form, and has no plans of slowing down anytime soon. So listen up, it’s Antagonist music!